When everything is special, nothing is special. 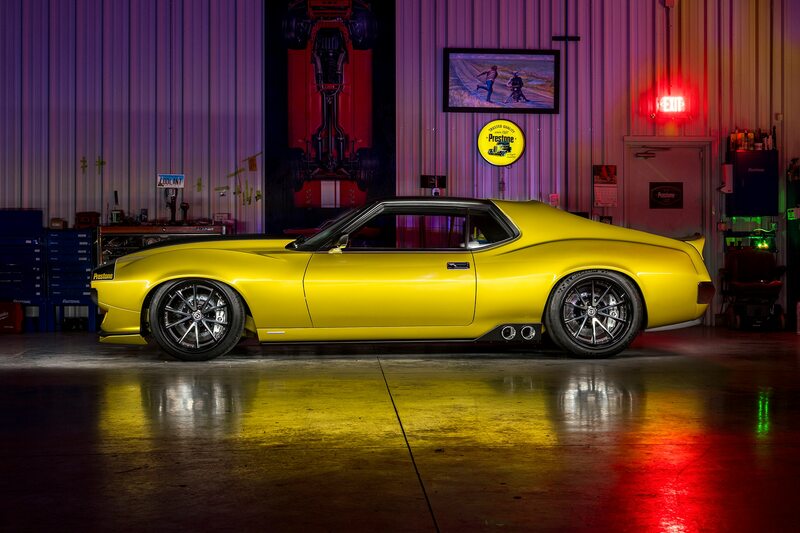 Custom, big-dollar builds based on Camaros, Mustangs, Chargers, Corvettes, and Challengers clog showhalls around the country, giving rise to an unfortunate normalization of the restomod musclecar. Thankfully, there are still a handful of shops whose thinking is decidedly “out of the box,” creating incredible builds that are almost more art than car. 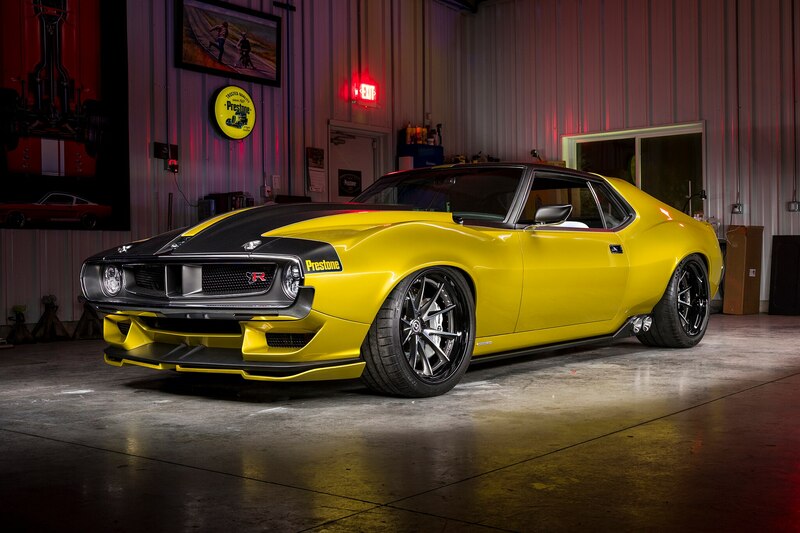 At this year’s SEMA show, Ringbrothers once again proved itself the king of this space, unveiling a wild, 1,080-hp 1972 AMC Javelin AMX. Looking over the Ringbrothers’ Defiant! AMX (yes, the exclamation point is included), it’s hard to believe the Wisconsin-based workshop began the project just one year ago. 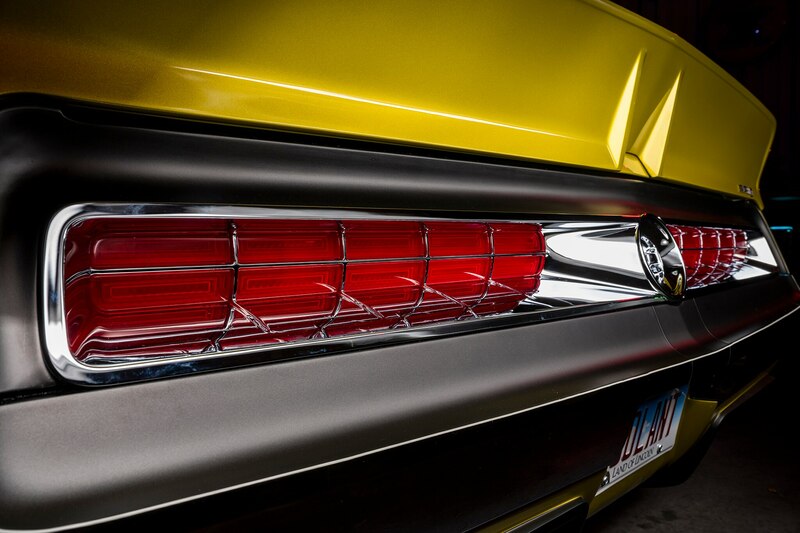 Even before head sponsor Prestone knocked on its door, Ringbrothers already knew an AMX would serve as the next canvas. As is the case with most of Ringbrothers’ builds, the Defiant! is radically different than the car it began life as. To make space for the new engine, the Javelin’s wheels were moved forward 6.5 inches, hid behind flared bodywork composed of carbon fiber. 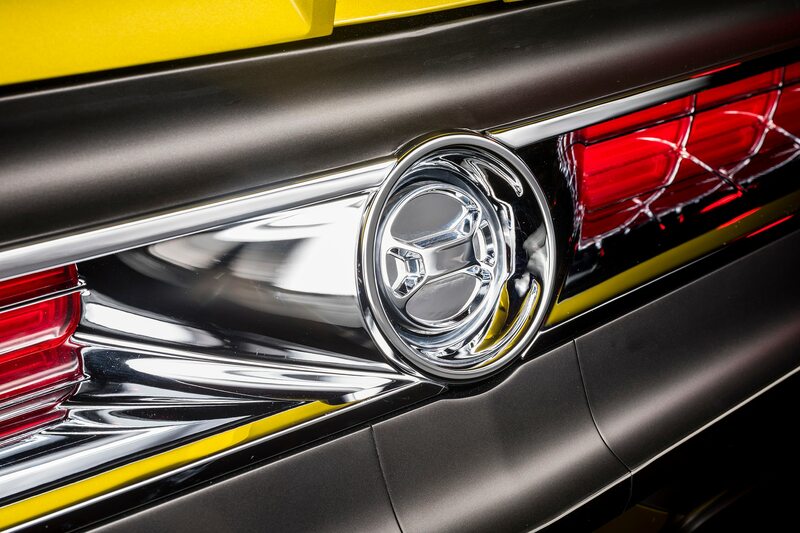 Along with the front fenders, the hood, grille, and front valence are entirely redesigned in carbon fiber as well, accented by bespoke trim pieces machined from aluminum. 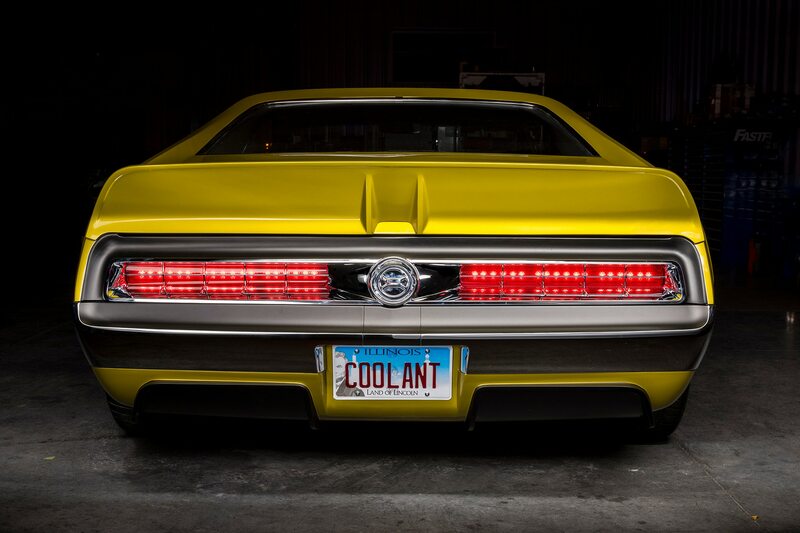 Power comes from a Hellcat-sourced 6.2-liter supercharged V-8, spitting 1,030 hp to the rear wheels through a Bowler automatic transmission. To keep things shiny side up, the Defiant! 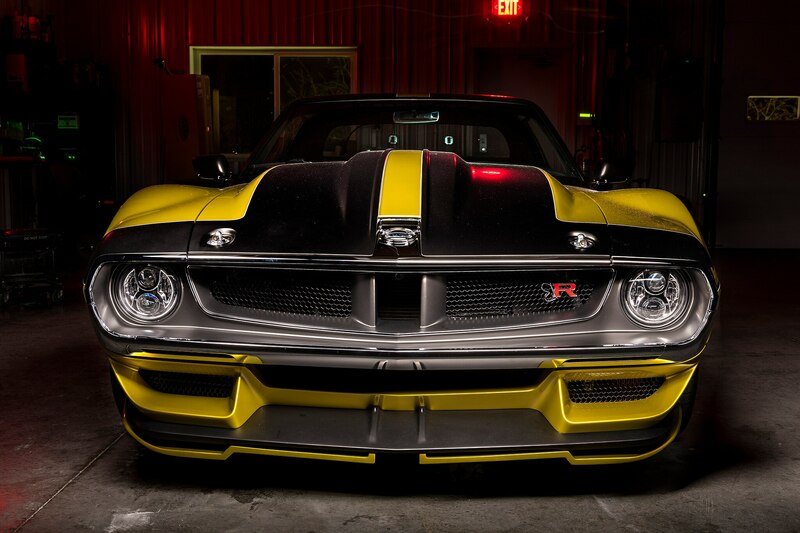 rides on a custom front subframe originally designed for a Camaro that holds modernized steering, sway bars, and RideTech suspension components. Out back, a Chevy 12-bolt rear end is mounted on a four-link suspension designed by the Rings themselves. Six-piston Baer brakes hide behind large 20-inch HRE wheels wrapped in 285/30 tires up front and 335/30s in the rear. 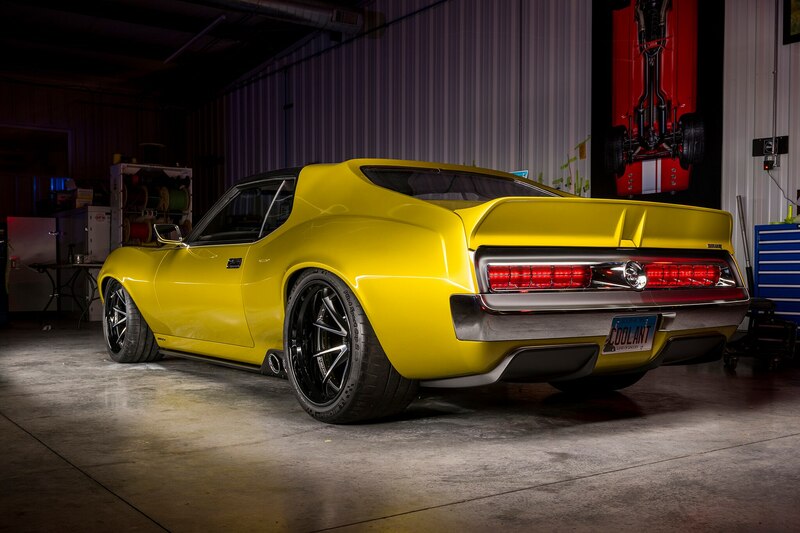 As far as production goes, all Ringbrothers cars are one-offs, so you’ll need to commission a separate Javelin build to complete your garage-mahal.